The book follows several characters connected to Birendra, a young Indian orphan, and takes readers to the southern coast of India, to west London, and to Hollywood. "The characters are moving through space from one country to another," Maisano told Spine. "Early on [in the writing process], I managed it through outlines. Lots of charts detailing the scenes and plot-points I imagined. I enjoyed the puzzle-like quality of piecing together a narrative with multiple points of view and geographic locations." Maisano used the forward motion of time to further impose order. "In the early drafting, I moved chronologically through my charts. I knew the basic narrative flow, and I tried to write what I had outlined." Beyond chronological charts and outlines, past tools and techniques are the things a writer holds inside, innate traits that can't be learned. For Maisano, the internal structural supports for Bindi included intuition, a love of symmetry, and a ready willingness to remove swaths of text. Some travelers, like some writers, rely on well-researched, well-organized plans of action. "I will go to A for a week, and then I will go to B for a week, and then I will go to C for a week." They plan it, and they do it. Maisano is the other kind of traveler, the wandering type who allows his intuition to call the shots. And while he began writing Bindi as a heavy planner, he was ultimately guided by intuition. "I've spent years traveling and I don't always know where I'm going next, but I seem always to know when it's time to move on. I'll be in one city one day, and then I'm leaving." As his writing through the novel progressed, he found a similar gut feeling pulling him from one point of view or geographic location to another. Four main characters carry Bindi's narrative, and Maisano allows each their own chapters, using a third-person close, or limited, perspective. Rather than placing characters in a regular, orderly rotation, Maisano relied once again on intuition, here guided by a "love of symmetry." "It was important for me that the reader was able to move through the story without thinking about the complex structure. One of the ways I thought I'd be able to manage that was by achieving balance between the different characters' sections." In some instances, he upset that balance, marring the reader's sense of symmetry to elicit a response. "You know when you begin to sense you've been away from a character for a while. I played with that. When I wanted to push a little more tension between one character and another, I might delay their reentry." 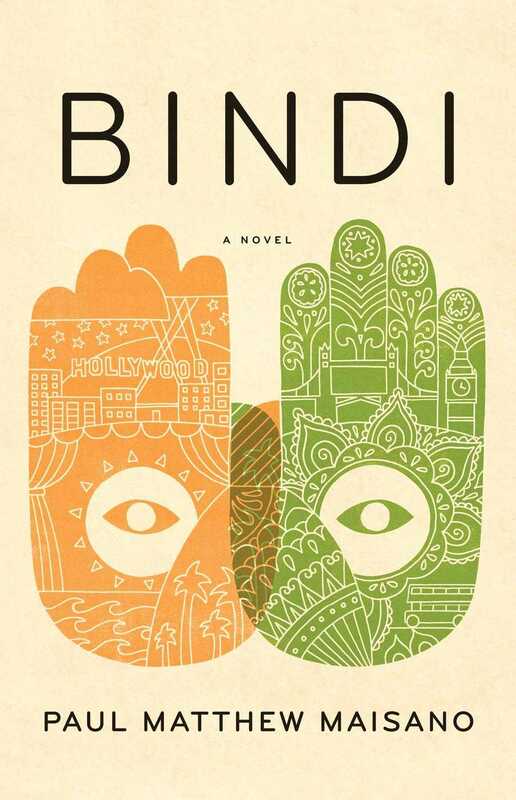 Maisano began writing Bindi six years ago. Much of the work then to now involved forward creative motion, but a good bit of the work involved subtracting text, an act Maisano said he performs with little distress. "I'm not a writer who is particularly precious with my words. Of course I make every effort to write a good sentence, but if there is a way to tell the story that is better than what I've got down, then I will cut or change it. The story is of primary importance." One of the biggest cuts came after Little, Brown acquired Bindi. Maisano and editor Lee Boudreaux went through three rounds of edits, one which included cutting out much of the first part of the book. Necessary and good edits, Maisano said, noting that he and Boudreaux had a "great relationship. She makes suggestions. She asks questions. She's hands off, but very thorough at the same time. She provided support and perspective, and it was great." Bindi launched last month with an event at Green Apple Books in San Francisco. Interested readers can sample the book at LitHub. Find Paul Matthew Maisano online at www.paulmatthewmaisano.com.